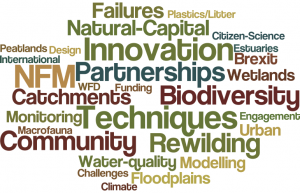 We have just released the River Habitat Survey Toolbox software to help practitioners with habitat assessment for the Water Framework Directive, Planning Applications, River Restoration and more. The software is on a free trial for 30 days. The River Habitat Survey (RHS) Toolbox software was developed to enable RHS surveyors to prepare for RHS surveys, input and analyse data. The RHS Toolbox will quality control data, identify potential errors, calculate indices and perform contextual analysis using the RHS baseline survey sites. 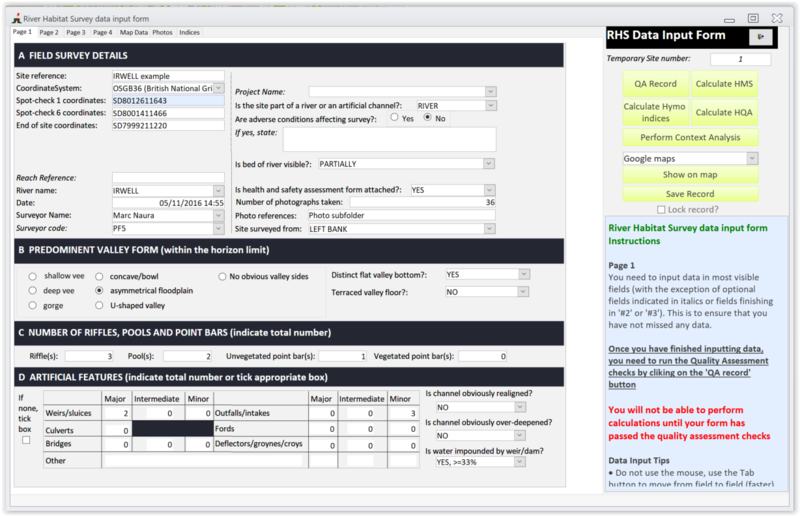 Using this interface, users will be able to print RHS forms and perform additional analyses. Perform Context Analysis and assess the site HQA score within the context of similar sites in the UK. 2- Create a RHS folder somewhere on your computer (e.g. C drive) and extract the content of RHS2017.zip into that folder. 4- Double-click the file RHSDataInput.accdr. At the moment the help file is not populated but you will find help in the side window in the main interface. Please send us you comments and suggestions so that we can tailor it to your needs. Potential issues: the RHS Toolbox was tested on UK (English) Windows Operating Systems. Due to different ways of representing decimal points, some of its functionality may not work on French and other Operating Systems that use commas (,) instead of points (.) to represent the decimal fraction of real numbers. Please let us know if you come across such problems.